"Staab Realty Group is number one in providing the best customer service, period. They have superior knowledge of the market, they make each and every client a priority, and they go the extra mile to ensure successful transactions and highly satisfied clients. Their scores of repeat clients are a testament to their competence, reliability, effort and performance." "This group is the best!! Very detailed, incredible follow-through, abundant patience with always an optimistic attitude. I would highly recommend Staab Realty Group to any family wanting to make the right decision in their home selling or buying experience." "Couldn't ask for a better group to work with. Professional, extremely responsive, and very willing to do whatever they can to assist in finding you the perfect home. Highly recommended." "The Staabs make you feel like you're the most important people in the world. They mold their schedules around yours and they were always available for us. When houses sell in less than 24 hours, you need someone who can get you in quick...They're extremely knowledgeable and experienced." "As first time home buyers we were looking for someone who could walk us through the process and be patient with our inexperience. That's exactly what we found with Staab Realty Group. Debbie and team were always quick to respond and were incredibly knowledgeable about the area we were focused on. It was a pleasure to work with them and we will definitely be working with them on house #2!" "I have never experienced a more professional and knowledgeable realty group to work with. 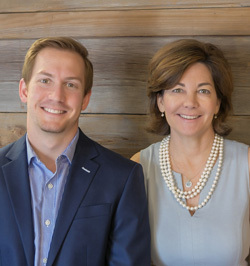 Thomas and Debbie from Staab Realty Group go above and beyond and exceed any expectation. It is not just about the transaction for them; its about the personal relationship and anything they can do to assist their clients. It was extremely refreshing to work with such a dedicated team who you can 100% trust. Thomas assisted with both the sale and purchase of our new home in a sellers market where inventory was hard to find and houses were selling in one day. He helped us find our dream home before it even hit the market. His communication was extremely effective and his response time was always immediate. The selling and buying process can be very stressful and overwhelming. Thomas was always available to console us and walk us through the details so we fully understood. He made the entire process enjoyable. Thank you Thomas!" "Debbie facilitated the sale of our home as well as the purchase of our new home. She was extremely knowledgeable and always prompt in responding to any question or concern we had. Her and her team made the process far easier than I expected. She was very connected with a network of quality companies and individuals to assist us with anything we need to have done. She always kept us informed with the pertinent information throughout the negotiation, sale, and purchase. I highly recommend her and her team to anyone looking to buy or sell their home." "This was our first home buying experience, and the team at SRG made every aspect of it easy, fun and seamless. They are true professionals who truly care about their clients, and they work tirelessly to achieve them. Thanks SRG!!" "We had a wonderful expierence with Debbie and Thomas. Professional, understanding , honest, timely, listened and followed through. We forgot how stressful moving can be and our experience with the Staab Group made it a great experience. Love our new place, miss the old but happy the Staab Group was a part of our move. Recommend Debbie and Thomad highly! 10 stars!" "Debbie and Thomas did a great job guiding me through the process of selling my first home. I had a 1-bedroom condo, which can be a hard sell, but they took great pictures and made great recommendations on how to stage it to look its best. We received an offer on the first day, and although it fell through, it resold again very quickly. Thankfully, with a hot market, we were able to close quickly and the team at Staab Realty made sure I had all the documents and information necessary to make the transition seamless. I would highly recommend this team to anyone who is looking for a hard working and smart real estate group." "Working with Debbie and Thomas was a breeze and a welcomed change from agents I'd worked with in the past. I found the perfect bungalow for me in April of this year with their help. From the flexibility of their showing schedules, their knowledgeable guidance through the negotiation, and their championing of my interests, I can say that I will never think twice about another team as long as I am buying and selling in KC. Thank you Debbie and Thomas!" "Debbie Staab and her team were with us every step of the way when we decided to sell our first home and purchase a new one. I cannot express how knowledgable, patient, informative and pleasant to work with Debbie was and is... 5 stars is simply not high enough for this agent." "We used Debbie as our buyers agent when recently purchasing our first home. She worked very hard to understand what our desires were for a house during the initial interview and throughout the process of looking at houses. She was very passionate about getting us a house we loved in our budget, that fit our personalities and needs. Debbie was available for our questions and concerns all the time (she works long hours, especially in the current market), and we really appreciated that as first-time home buyers. She would send us recommendations for houses, as well as listen to our recommendations. She was very flexible. If she ever was unable to attend to our needs (rare - this happened once in a period of three months), one of her other team members was there to assist us quickly and with ease. The whole team is incredibly knowledgeable, professional, and open to your opinions and ideas, as well as patient and honest. We love our new house and owe that to SRG, we highly recommend them!" "Thomas really went above and beyond in his guidance and assistance with the purchase of my first home. I am extremely appreciative of all of the time Thomas and everyone with Staab Realty Group dedicated toward our search - I highly recommend Thomas to anyone looking to purchase a new home or to those who are interested in selling!" "I would highly recommend Staab Realty Group! They helped me secure the house I wanted and made the process very smooth. They are super professional, helpful and are very knowledgable of the Kansas City area. Thomas was available at all hours to answer questions throughout the process. Thank you Staab Realty Group!" "Staab Realty Group was wondferul to work with in the selling of our home. Debbie and Thomas were very knowledgeable and guided us throughout the entire process. We are looking foward to working with them again when we purchase our new home!" "We could not have been more pleased with the service we received from Staab Realty Group. Debbie and Thomas were exceptional! From advice on preparing the house to sell, developing a marketing plan, managing multiple offers and through to the final closing, they were fantastic. Professional, prompt, knowledgeable and savvy negotiators, we would give them 10 stars if possible. HIGHLY RECOMMEND!" "My wife and I have used Debbie and Thomas for our last three home sales and purchases. They are nothing short of amazing, and come with our strong endorsement!" "Debbie helped us both buy a home and sell our previous home. She was always available to meet us at the last minute to see a house or to answer any questions we had. She was both professional and knowledgeable and treated us as family. Our daughter still asks for “Miss Debbie” :) We are truly grateful for all of her support and guidance throughout the process! We would definitely recommend the Staab team to anyone looking to buy or sell in the Kansa City area!" "Debbie and the ret of Staab Realty Group did a fantastic job selling our homes as well as assisting us with the purchase of our new home. Debbie is thorough, professional, and hard-working—the best agent we’ve ever dealt with! Thanks!" "We can’t thank you enough for everything you did before and after we left KC to sell our house. You went above and beyond and gave us so much peace of mind through the process. We couldn’t have done it without your steady, reassuring, warm-hearted professionalism...We think you’re wonderful! XO ... Debbie has an outstanding reputation in the Brookside area and among our peer group. After working with her we can understand why! I was very nervous about the prospect of selling our house and she continually put us at ease and patiently explained the process as we went forward . She was very reassuring. I appreciated all of her contractor work contacts and all of the work she did coordinating their schedules after we had moved to another state. She never complained or got frustrated once! She is so smart and professional---I admire and respect her very much!" "Second time our family has worked with Debbie and both times she has sold our home quickly; in less than a week.We appreciate her honesty in her dealings with other realtors and feel this assisted in our quick sales. We were always notified quickly during the showing process. Debbie worked out all the details during the negotiations phase and our closing process was stress less." "Debbie is the best agent we've ever worked with! She was incredibly helpful and knowledgeable in every area. She even helped us with things we needed after closing. Could not recommend her more!!! The best. Period!!" "We recently bought a house using Debbie, this was the second deal we have done with her. Both deals were done from out of town 3 years apart from each other. We didn't even meet her until just before closing of our recent home purchase. Debbie is a wonderful person to work with and a true professional. My wife and I have use many agents in the past and STAAB Realty Group stands above them all. Thanks again." "Thomas was amazing! He helped me through the process of buying my first home, and even looked at homes for me when I was out of town. I can't say enough about how helpful he was! He was always available, had an honest opinion, was extremely professional, and on top of things. I would highly recommend him to all of my friends and family in the future :) ." "Debbie responded to every question we had with knowledge and expertise. Her advice was perfect as we listed and sold our home in one day. I felt like she was always at our side to advise/stand in as we did not have the contacts to complete one of the code adjustments and she recommended a professional and met him at our house for us. We met Debbie over 20 years ago as she was our back neighbor. I have watched her grow and market her company as the number of signs she puts up in the Romanelli West neighborhood provide credibility and a fast sale. WE highly recommend Debbie's skills, style and responsiveness.!" "Staab Realty Group was very knowledgeable about purchasing homes in the Greater Kansas City Area. As first time home buyers, Debbie and her team effectively answered all of our questions and walked us through the home buying process. Staab Realty Group was also incredibly responsive to all of our calls and e-mails. We highly recommend them!" "Our experience with the Staab Group has been excellent. We have worked with them for many years and even referred them to family and friends on several occasions. Each time proved very successful. They are dedicated, professional and knowledgeable in all phases of buying and selling a home. We are grateful to have them in our corner when going through the buying and selling process." "Debbie and Thomas were a joy to work with. They really care about their clients and they worked into all hours of the night to ensure that we were happy. We are so thankful for them and would recommend their services a thousand times over! They're the best!" "Debbie was wonderful, we were the type of clients that asked a million questions, but Debbie was always quick to respond, had a great attitude and was knowledgeable in all aspects for both buying and selling. We are grateful to have had her as our realtor!" "Working with Debbie and Thomas is always a joy! They are attentive, professional and never disappoint! The sale of our home was so simple and we are absolutely THRILLED with our new home! The experience yielded happy buyers and sellers on all sides! They do know how to Bring Home Results!!!!! Thanks Debbie & Thomas!" "Thomas and his team were great - always available and extremely knowledgeable. They made my home buying experience quick and enjoyable. I would definitely work with them again and would highly recommend them to any buyer/seller." "This was our 3rd house purchased with Debbie...We are beyond impressed with their teamwork and work ethic. Debbie Feels like part of our family...Thanks so much Debbie & Thomas!" "The Staab Team made us feel like their #1 priority! Their knowledge of the local market gave us great confidence through this process. They are just tremendous people!" "Thomas Staab has been very professional and efficient in the listing and sale of my property. My property was sold as soon as it was listed. Throughout the process, Thomas has been honest, responsive and reliable. He was also good at solving problems arising in the sale process, showing a high level of expertise." "Debbie helped us as we relocated from Houston, TX to Overland Park, KS. Debbie was very responsive to our questions whether day or night. She did a great job lining up homes on our days in town to view homes really making the most of our limited time. In the end we found the home of our dreams and Debbie negotiate so well and kept the price right in our our range. Thank you so much Debbie!" "Thomas helped us buy our first home and he was the absolute best. He made sure to get answers to every question we had and helped us every step of the way. We worked with a few other realtors that did not even match up to him. I definitely recommend him." "I've known Debbie for a long time and remember when she chose real estate as a profession and have watched her grow in her knowledge and expertise of buying and selling. I have not had to use her until now. My condo was put on the market Sunday and sold Monday. Everything went pretty smoothly." "Debbie and Thomas were awesome to work with. As a first time home buyer, they walked me through the whole process and answered my questions very promptly. I would highly recommend to anyone and will use them again in the future." "Totally was impressed with Debbie's knowledge of the whole buying process. She understood our needs and found us the right house. She definitely was a great choice." "Thomas was a huge help for us! We were moving to KC from Texas and had zero clue about the area. Thomas started working with us in January from my first contact with him through June when we finally closed on our house. His hospitality was wonderful and helped us feel comfortable through the entire process. Thomas knows this area and has many contacts to help you long past the closing. If you're looking for a trustworthy realtor, look no further! We are very please with Thomas and the Staab Realty Team." "Thomas is amazingly helpful and is always there when you need him to be. Couldn't have asked for anyone better!" "Debbie was constantly sticking up for us, following through, adapting and keeping us informed. We will use her again in a heartbeat and highly recommend her to all our friends & associates." "I can't even begin to put into words how much I appreciate everything you've done and for always going above and beyond...I couldn't have asked for a better realtor, and person, to have on my side and can't imagine going through this process with anyone else." "Debbie went beyond the call of duty...she brings the real estate industry a great name, and the respect that we have for her and the life compromising duty she has as a real estate agent is beyond describable." "Our agent, Debbie Staab, was a pleasure to work with. She represents the highest level of professionalism. Her attention to detail made the whole process a joy." "As new home owners the entire process was very unfamiliar to us, which is scary when you are making sure a big decision! I am so grateful that we found Thomas to help us through the process! Thomas was more than amazing in helping us find the perfect home for us. He made sure to show us the homes in a timely manner, he was always available for any questions or concerns that we had, and he truly made the process a breeze. He knows the area well, fights to get his clients what they want, and gives guidance throughout." "Debbie is the constant communicator...she has an astonishing range of knowledge about real estate." "You have been so wonderful, helpful, encouraging, informative, and genuine throughout the whole house buying adventure." "We wanted to express our heartfelt gratitude to you on the sale of our home. I have never met realtors that are as hard working and aggressive as you two and it has been more than a blessing to Matt and I. Thank you so very, very much. We have recommended you to countless people and I hope that it brings you all so much business. After failing with a few other realtors it is just amazing to me the difference we found in you, not only in the sale, but the work up to the sale. Being out of town was daunting and we just cannot thank you enough." "Your expertise and friendly demeanor helped me feel confident with the process." "Debbie helped us find our house and it was a very pleasant experience. We plan to use her services again on our next home purchase! We were first time home buyers and she walked us through the home buying process. We learned a ton from Debbie!." "Debbie's work ethic and integrity is unique and refreshing." "Debbie is always at the top of her game - all of the time!" "She made us her #1 priority. Debbie is the best realtor we've ever had." "Debbie is organized, efficient & responsible." "Debbie really took time to listen to our needs...she is so knowledgeable." "I had no real estate experience and she knew everything to do and took the stress off me." "Always pleasant, helpful & reassuring." "She went above and beyond the call of duty." "Was calm and focused...she looked after our best interest. Hire more Debbie Staab's!" "Thank you for your professionalism and upbeat attitude throughout the selling process, I really enjoyed working with you."